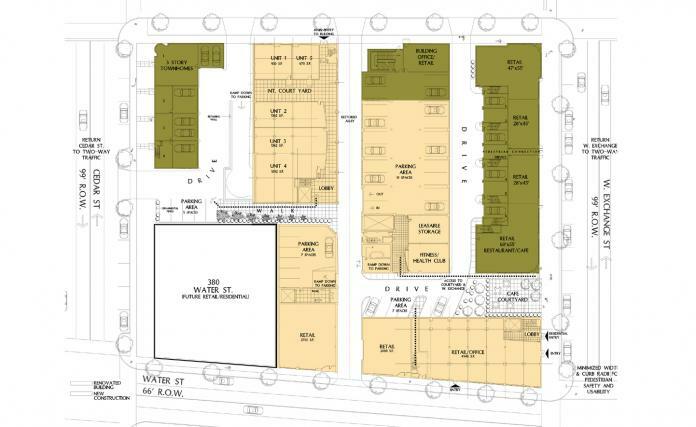 This project study entailed a review of not only the Cotter properties block, but the impact of, and desired development adjacent to the site. The existing buildings have been analyzed for their conversion to loft residential apartments or condominiums. 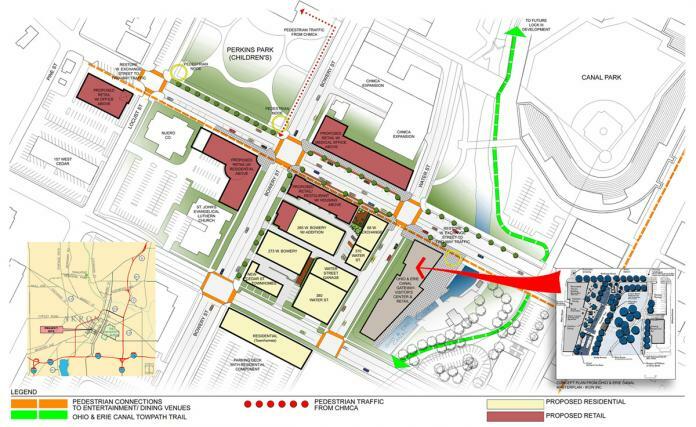 The pedestrian and vehicular circulation patterns were studied, as well as looking at current development and planning initiatives that would be relevant to the site and its future development. The existing buildings on the site are of historic significance. We proposed to create a new historic district for the area, the existing buildings would be contributing members to the district, making them eligible for the federal historic rehabilitation tax credits. 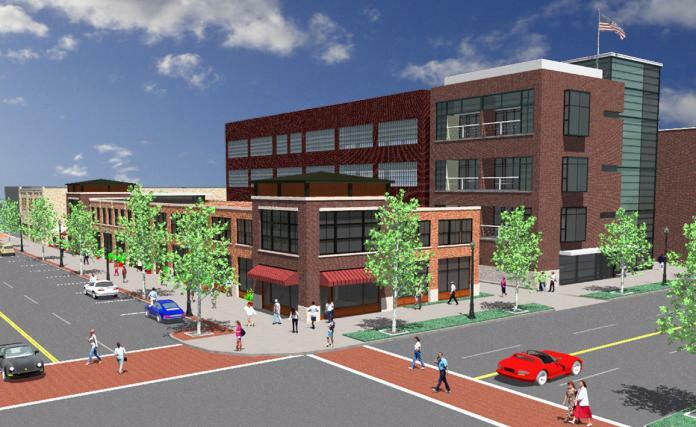 The marketability of the residential components are enhanced by the block's proximity to recreational and entertainment amenities: The Ohio and Erie Canal Towpath Trail, the proposed visitors center at Lock 1, and downtown Akron dining and entertainment venues. The current nature of the site is an under-utilization of the real estate, both in terms of intensity of use and the type of use. 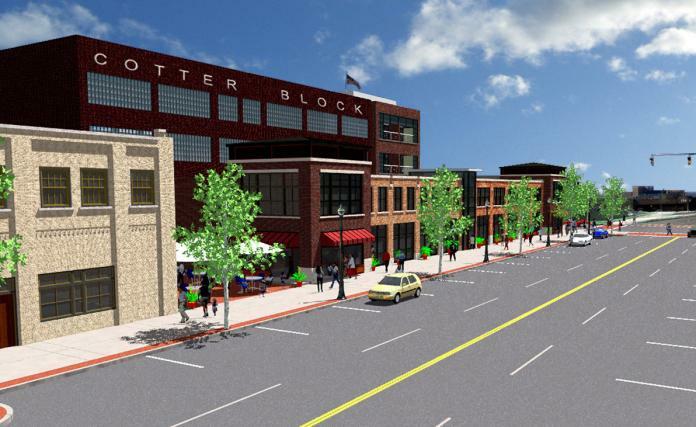 The proposal creates over 42,000 sf of new residential and retail space on the Cotter block and proposes additional development of adjacent parcels.